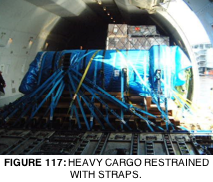 ULD accessories are a frequently overlooked component of air cargo restraint. All too often, these important devices are treated as communal, ownerless devices, which can simply be picked up from the cargo terminal floor, used carelessly, and then once again discarded. This is a very serious misconception, as accessories often come with restraint requirements of their own, which are no less important than a complete pallet or container. Given that it only takes one weak link in the safety chain to cause a failure, the improper use of any kind of ULD accessory can obviously lead to unsafe operating conditions. Not only do accessories add safety value to ULD operations, but they also have economic value, and therefore deserve to be cared for and managed correctly. Airlines pour thousands of dollars into purchasing these items every year, only to see them quickly disappear into a gigantic accessory pool, from which workers take what they need, regardless of ownership. This is never financially responsible, but more importantly, it is unacceptable from a safety point of view. Most ULD accessories contribute to the safe operation of ULD, and as such, the origin and condition of all accessories must always meet aviation standards. This means that whenever any accessory is used during ULD build-up, it should always be of a known origin and applied in accordance with correct standards. When the time comes for load breakdown, the accessory should be carefully removed and placed in appropriate storage, segregated by airline. The use of accessories should also be carried out in accordance with applicable regulatory requirements. There is no room for guesswork or other ‘on-the-spot’ determination of how to use or apply an accessory item. Straps almost deserve an entire chapter to themselves, as there is a great deal to understand about this apparently simple device. The use of straps in some form or another most likely predates the use of containers and pallets, as straps are used to secure certain types of cargo inside bulk load holds. 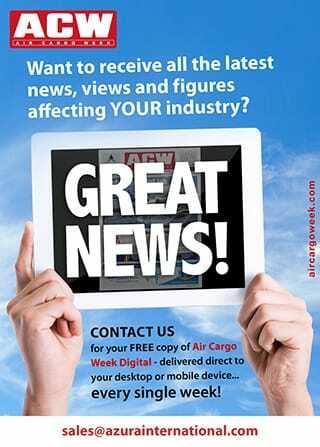 Most certainly, these accessories been an important part of air cargo for over fifty years. But like many things that have been around for such a long time, they are often taken for granted, with little attention paid to important factors such as their condition, application, and safe storage when not in use. To restrain special types of cargo, such as vehicles. With such a wide range of applications, it is difficult to formulate a single set of user instructions for straps. Varying information on how to apply straps can be found in different industry and airline documentation, which leads to a lack of understanding about the correct application of straps in an operation. What is important to remember when using cargo straps, however, is that the strap must be completely capable of providing the expected level of restraint when installed. It is not the purpose of this publication to provide detailed guidance on the application of straps to cargo, and this book will not endeavour to address how to go about calculating the number of straps required, and the proper positioning for securing a load. What can be said, however, is that the quantity and positioning of straps should always be in accordance with a prescribed plan. The application of “rule of thumb” solutions is never acceptable, and can lead to insecurely restrained cargo, load shifts, and, ultimately, accidents. The use of cargo straps can be split into two categories: primary and supplementary. Primary restraint is where straps are the sole provider of cargo restraint, while supplementary restraint is where there is also a net over the entire load, and the straps are providing additional cargo restraint. This is generally to provide added stability during flight and ground operations, while the ultimate flight safety lies with the cargo net. In such cases, straps will always be applied underneath the cargo net. While using straps without a cargo net is a widespread practice, it is not in line with a typical WBM. Such documents generally stipulate that pallets should always be used with a net, and not with straps alone. When pallets are certified, it is assumed that the net is connected at a set number of locations, with defined spacing. This is quite a different configuration from a pallet using straps, the location of which along the pallet seat track may be quite random, and not aligned with the conditions under which the pallet was certified. Concentrations of load into parts of the pallet edge rail can result in excessive loads into the CLS and aircraft structure, and may exceed their capacity to restrain the pallet. Even if the straps and pallet are strong enough, sometimes the weakest link can be in the aircraft structure. In mid-2015, Boeing issued supplemental procedures to the Weight and Balance Control and Loading Manual for operators of various Boeing freighter aircraft. This document is now in its fifth revision and is over fifty pages long. It contains very specific instructions on various cargo loading practices, including thirteen pages under the heading “Use of Restraint Straps as Primary Restraint to a Pallet”.